time for yourself | Troy C. Wagstaff aka CallahanWriter Blog: Topics of interest include Western Historical (1865-1899) Topics. Additionally inspirational Christian and Fibromyalgia interests. 1. Understand what else can trigger a fibro flare to avoid it. 2. Say no when you need to. 3. Don’t feel guilty for saying no. 4. You have a lot of limitations, don’t feel guilty for having limitations. 5. 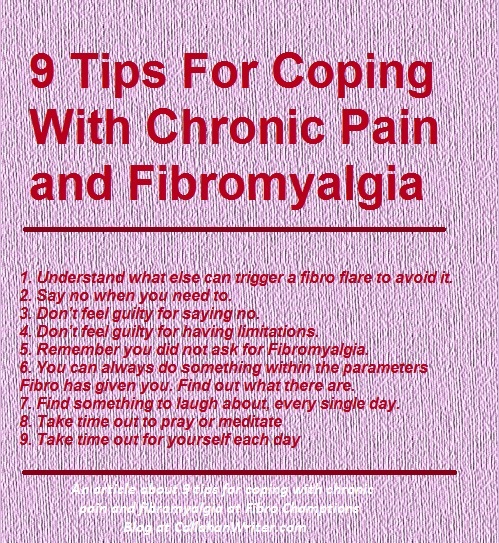 Remember you did not ask for Fibromyalgia. 6. You can always do something within the parameters Fibro has given you. Find out what there are. 7. Find something to laugh about, every single day.